Vietnam’s far away from becoming a cashless society, given low financial literacy and the lack of an ecosystem, experts say. When Nguyen Quynh Hoa’s phone texts that her salary has been credited, she goes to the nearest ATM. "It’s just more convenient to use cash when I go shopping at a local market. Giving the vendors there my card would be ridiculous," the 24-year-old office worker said. Hoa has had a bank account and debit card for years, but she relies heavily on cash for daily transactions. This is despite her living in Hanoi, Vietnam’s capital and one of its biggest financial centers. "There are several convenience stores and supermarkets that don’t welcome cards, and I find it more complicated going through many steps to make an online transaction. Cash is just easier," she told VnExpress International. The Vietnamese government in recent years has been encouraging the development of cashless payment, but experts say that the task will be challenging as "underbanked" people rely mostly on cash. 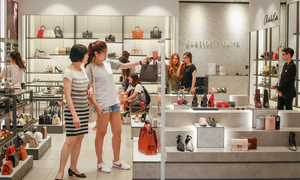 Pham Hoai Thu, a cashier at a fashion store in the Aeon Mall in Hanoi, said that six out of ten customers pay with cash, and most people only pay with cards when the bill is $200 or higher. "Customers often choose to pay with cards only if they do not have enough cash with them. Even businesspeople pay cash, as they are concerned about technical issues," she said. Pham Thi Sinh, owner of a grocery store in Hanoi’s Dong Da District, does not have a bank account. She said that she doesn’t need one. "I receive all my income in cash, and make purchases with cash, too. Why would I need a card?" the 60-year-old said. 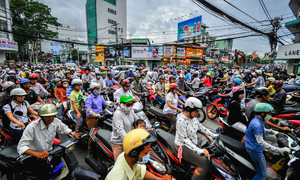 A large population of Vietnam remains unbanked. Only 40 percent of Vietnamese adults over 15 years old had a bank account in 2017, according to World Bank data released last year. This rate is lower than Thailand at 82 percent, Malaysia, 85 percent, Singapore, 98 percent and the East Asia and Pacific region average at 74 percent. The data also showed that only 27 percent of the Vietnamese population owns debit cards and just four percent have credit cards, much lower than the East Asia and the Pacific average of 60 percent for debit cards and 22 percent for credit cards. 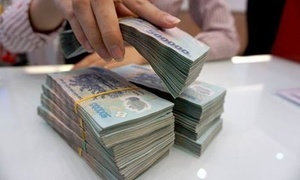 The ratio of cash over total payments in Vietnam was 11.61 percent as of September last year, according to the State Bank of Vietnam. One of the main reasons Vietnamese people are reluctant to go cashless is their lack of faith in technology in terms of money. Can Van Luc, a government economic advisor and chief economist at BIDV, biggest bank by assets, told VnExpress International that Vietnamese people are "so used to cash they don’t feel safe doing transactions without cash." Creating a cashless habit is also difficult because Vietnamese cashless payment services are not user-friendly enough to attract those who are not tech-savvy, he added. Another reason is the insufficient number of points of sale (POS) terminals in the country. Nguyen Quang Minh, deputy CEO of the National Payment Corporation of Vietnam (NAPAS), said that there are only 150,000 shops in the country with POS terminals. 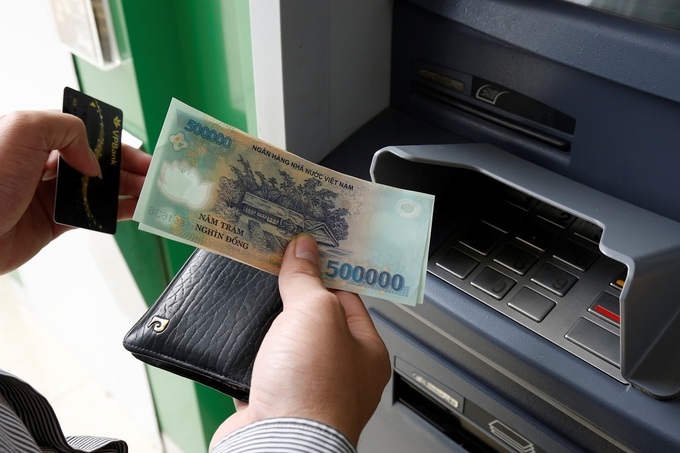 In order for Vietnamese people to change their payment habit, the number of POS shops need to leap from 150,000 to at least one million, Minh said at the recent 2019 Future of Finance Vietnam organized by The Asian Banker. "The payment habits of Vietnamese people are changing, but slowly. Cashless payment in the country is individually operated by each company, not standardized, creating challenges for users. It also slows the speed of cashless payment development," Minh said. 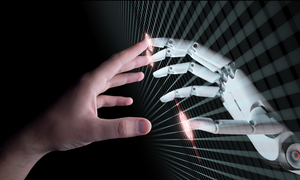 "Vietnamese people need more time to catch up with new technologies." 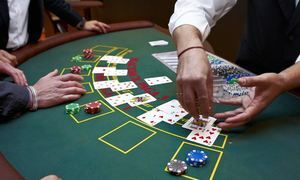 Other experts say that many Vietnamese people are not aware of what a card can do. Arnab Ghosh, CEO of a Hanoi-based finance company, said at the conference that consumers don’t know the full function of a card. "Most Vietnamese people think of their debit cards as cash-withdrawal tools only. 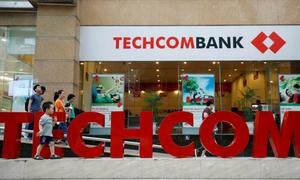 They don’t even know they can use their cards to make purchases," said Ghosh, who has been working in Vietnam since 2011. Ghosh is also concerned about the lack of an ecosystem for cashless transactions. He said that even if a "pho" stall owner accepts POS transactions, he won’t commit to cashless payments if he still has to pay for ingredients in cash at a local market. "While more and more banks and financial companies are essentially addressing the points of sale (issue), they are not addressing the entire supply chain," Ghosh said. 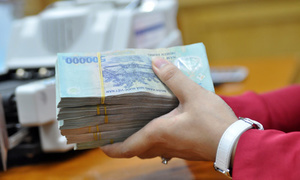 The Vietnamese government has demanded that the cash over total payment ratio be reduced to below 10 percent next year. However, experts fear that this target might not be achieved that soon as the ratio has never fallen below 11 percent. Luc, the government’s economic advisor, proposed that the Vietnamese government implements a larger scale strategy to teach people the benefits of cashless payment. "We need to have a financial inclusion strategy. Financial literacy in Vietnam now is only about 20 percent, very low compared to European average of 40-45 percent," he said, adding that schools should start teaching personal finance as early as possible. He also said that mobile phone payment, which is becoming more popular in Vietnam, could become a solution for the unbanked and underbanked. "In China, even beggars use their phones to ask for money. This could be the future for Vietnam." A government resolution issued in January recommended that cashless transactions made viable for all urban household bill payments by the end of this year, prioritizing mobile payments and payment via card readers. Meanwhile, Hoa, the office worker in Hanoi, took out her wallet and paid with cash for the ingredients she bought to cook dinner for the family, something she has been doing for years. "I think I’ll have to stick with cash for a long time."